A man has been jailed for six years for possessing a gun, knife and ammunition in Doncaster. Ricky Andrewatha, aged 24 and formerly of Lloyds Terrace, Dunscroft, admitted possessing the gun after a property was searched in Riviera Mount in the Bentley area of Doncaster in November. A sawn off shotgun was found in a bag and a forensic examination linked Andrewatha to the weapon. When arrested, Andrewatha was also found in possession of a lock knife. 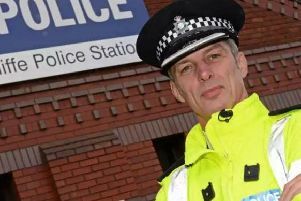 Doncaster Constable Russ Batteson said: "Christmas is a time to spend with family, friends and loved ones, however because Andrewatha thought he was above the law and could possess offensive and dangerous weapons, he has lost this opportunity for the next few years. "We are committed in tackling gun and knife crime, and I hope this sentencing which is purely just for possession of weapons, serves as a warning to those who are involved in criminality. "We will continue to execute warrants and disrupt all forms of criminal activity to make sure our communities are safe and protected."